I grow way too many beets in my garden every year. I do this because I love to throw them into my juicer. I love the earthy, deep, rich flavour they give and that colour is just a smile in a glass. Right now my juicer has a layer of dust on it. The charm of wandering to my vegetable patch and taking those just pulled veggies straight to my juicer is wonderful, but I just can’t get as excited about the whole process when you have to buy enough fruit and vegetables to require an extra shopping trolley at the store! 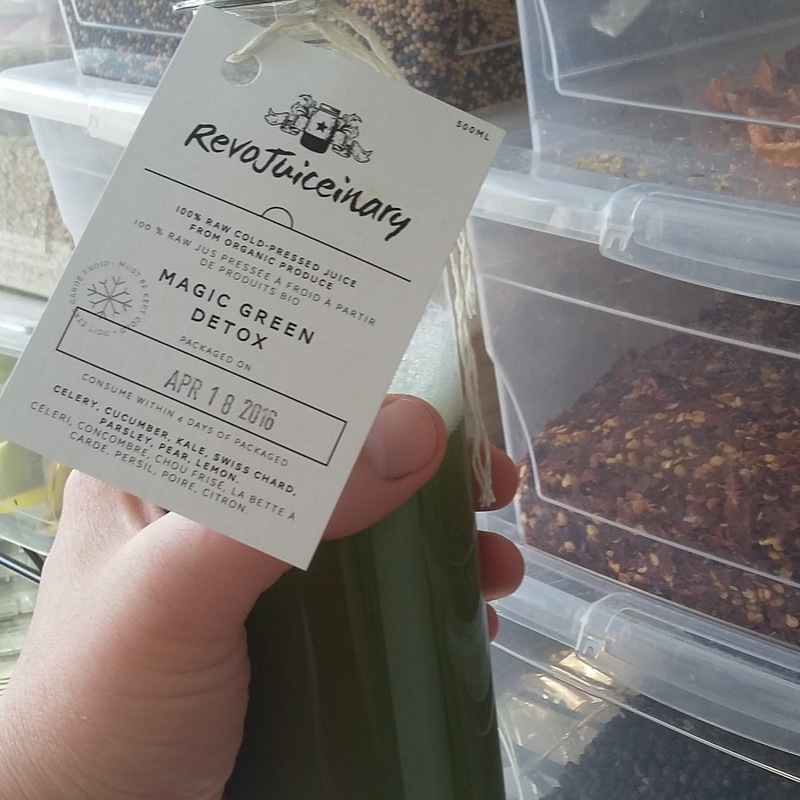 So I admit it, I am a summer juicer and therefore having an easy to purchase solution makes perfect sense to me; a certified organic, cold pressed and local solution is even better and for that I head to RevoJuiceinary. Based in Sherwood Park, this growing company is offering up some amazing combinations and flavours that will make your fruit and veg intake anything but a chore! I love their juices for days when I am too busy to even look in the fridge and I know that an extra veggie boost is what I need to keep me going. I tested out a range of their juices and soups over one very busy week. Here is how I went on…….. Working at Tofield Packers today and as always the pace is fast and the work is hard! This is my all time favourite juice! It feels like you are drinking liquid energy! So fresh and zingy, love it! 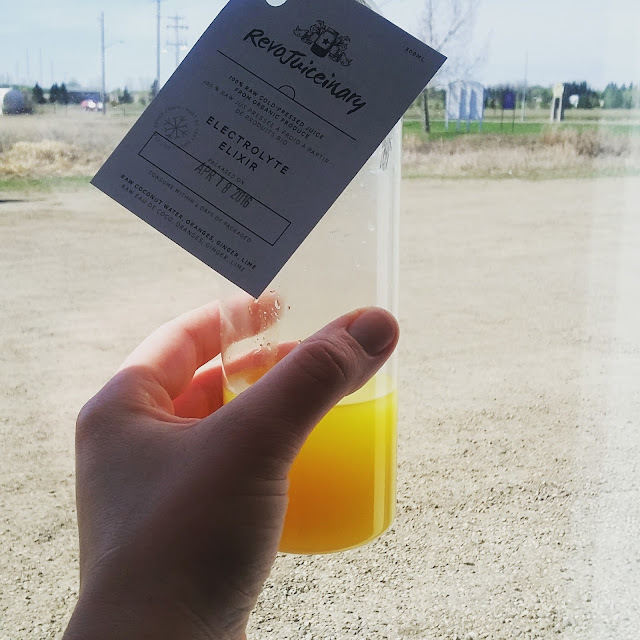 I didn't even mind that I was inside and the glorious sunshine was just behind the glass- this juice is sunshine in a bottle! Straight out of my Orange Theory Class and drinking this as the perfect recovery drink. Out for a walk with my dog and sipping on a juice as I go. Another day, another kitchen to work in. I spent the day in the MoJo JoJo kitchen making pickles. This juice was the perfect work partner. It feels healthy (because its green, of course) but so tasty and not like grass at all! I have made myself a few green juices in the past and they always taste a little like your too close to the lawn! I will still juice my own produce in the summer (and maybe the winter sometimes!! ), but for fast, on the go solutions to being too busy to get the fruits and veggies I need, RevoJuiceinary is my perfect back up. At $10 a bottle it may seem expensive but you just try and buy amazing, organic produce and make this much juice and you will soon realise its a great price for a great product. I will certainly be trying out one of their Cleanse packages soon- maybe just after we get back from Vegas! 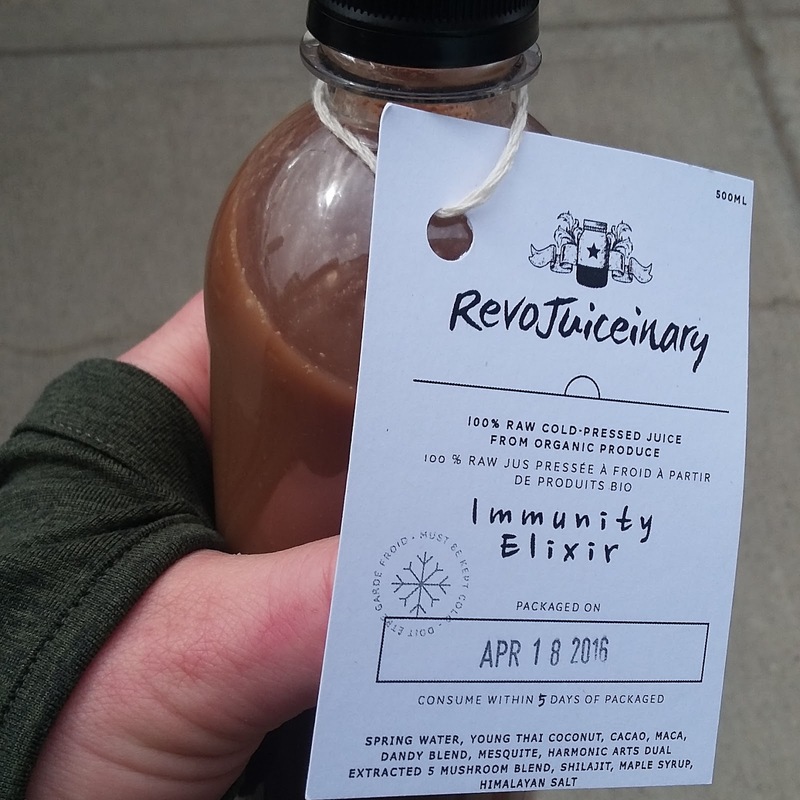 RevoJuiceinary was founded with the intention of providing people with nutrient dense products that are easily incorporated into your day to day routine. We chose for these products to be sourced and produced organically, locally wherever possible, and sustainably. We constantly seek out new products to incorporate into our line, develop new in-house blends, revamp old juices and smoothies, and stay in contact with various health food stores, yoga studios, gyms, and various health practitioners to try and bring you the best experience possible. The Electrolyte Elixir was formulated to provide the necessary fuel for the body to excel at sports, yoga, or any physical training exercise. The raw coconut water contains a similar electrolyte balance to our own blood, making it a perfect drink to help the body go further and recover faster. So fuel up and see where this body of yours can take you. Ingredients: Raw Coconut Water, Oranges, Ginger, Lime. The Heart Beet was formulated to be as deeply nourishing as it appears. Beets may assist not only with greater athletic performance, but also with lowering blood pressure and purifying the liver. Combined with the anti-inflammatory and numerous healing effects of turmeric and ginger, you can truly enjoy this beverage wholeheartedly. Ingredients: Beets, Carrots, Celery, Spinach, Ginger, Turmeric. The Third Wave was formulated in the spirit of a classic green juice, with a gingery bonus. Besides the standard benefits of a green juice, there is some evidence that ginger can lead to significant reductions in LDL cholesterol and blood triglyceride levels. Once consumed, give yourself a pat on the back, you did good for the body today. Ingredients: Celery, Cucumber, Romaine Lettuce, Red Leaf Lettuce, Apple, Lime. 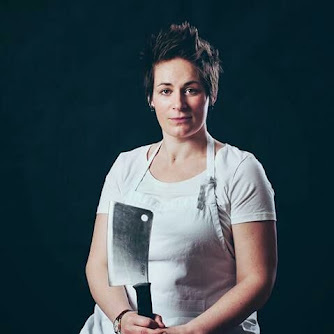 In partnership with the chefs from The Mercury Room in Edmonton, our soups are made in-house from vegan, plant-based, and 100% Certified Organic ingredients. Check out their Website, you can order juices to be delivered right to your door! I was sent some juices and soups to test out for free. I did not get paid for this honest review. Images, opinions and spelling mistakes are all my very own.